Here’s footage of Jermaine Gardner’s recent Autism Awareness concert. Jermaine has Asperger’s and is an absolute piano genius (also happens to be blind too). Both he and his mom (Jacqui) play an active role in our members community at Parenting Asperger’s. Jermaine often dispenses real gems of information from the Asperger’s perspective, with a definite “straight talkin’ – no hold barred” approach! Shared a great image on Facebook recently. Listed off the *ingredients* of an Aspie; just like they do on food labels. I thought it was fab. Cat in the Hat . . . The Grinch . . . Green Eggs and Ham . . . I love Dr. Seuss. Wonderful, wacky and very positive about difference. So I wanted to share a few quotes from the books (and what they can mean for people with ASD). Really reflects the unique nature of everyone on the spectrum. doesn’t give them chance to shine. We must all help them do so. overcome. As parents or children – we need to take control. somewhere. Keep your eyes open I’m sure you’ll find them. A new type of comic in town. the rescue. Pawsy, a cheetah, has a solar-powered running leg. Azazzatz (and alien) has a bionic arm to punch bad guys. A great idea for promoting people with disabilities. Got me thinking . . .
What might an Aspie superhero look like? details and dogged determination win the day. ‘other worldy’ – she’s always 2 steps ahead of the crooks. the Feds to make the arrest. hero? Please let me know . . .
cat shelter, to say thanks. Fast forward . . . she’ s now 11. Still loves animals. Still loves helping them. been very supportive of her. fundraising for the charity (to build a hedgehog hotel). Even got her own website. answering letters and emails, and running her own website. Much fun for her now. Much good for her efforts at job hunting later on in life. importance of volunteering and gaining experience. I’m sure she’d really like it if you left her a comment). It’s thought at least 80% of people on the autism spectrum are unemployed. Well on a SOCIETY level . . .
autism and are probably a little *scared* of it. a job? The evidence isn’t exactly in their favor. Is it the education system? need. So yeppers that’s a factor too. What about on a more INDIVIDUAL level . . .
Is it applying for jobs? them. So the average application process is likely a problem. issues and more. It’s not a good format. At. All. Yes again. So many unwritten (social) rules. Office gossip. ASD really struggle with this stuff. keep the conversation alive with you good people. But the personal stuff . . . I can help with . . . Choosing the right career. Sending in good job applications. Preparing for interviews. ?And loads more . . .
truck. Choking on his words. Couldn’t say what he wanted. What had happened to this poor man? Quite simply – a job interview. TV show called “Unemployable me”. He’d already suffered through 100 interviews. ALL agonizing. another experience of “death by interview”. hope slowly lifting . . .
Then amazingly the interviewer offered him a 2 week trial working on I.T. aloud to the whole staff group (a MAJOR breakthrough for him). the tears, and OFFERS HIM A JOB! A truly remarkable moment caught on camera. between depression and ASD. Such repeatedly painful, experiences take their toll. 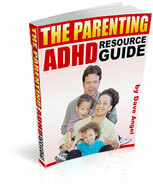 (produced with mom and autism expert Kerri Stocks) we guide you through the process. * Choose the right career . . .
* Discover good job opportunities . . .
* Successfully apply for jobs . . .
* Pass interviews . . .
* Cope with the first few days, weeks and months of employment . . .
* And much more besides . . .